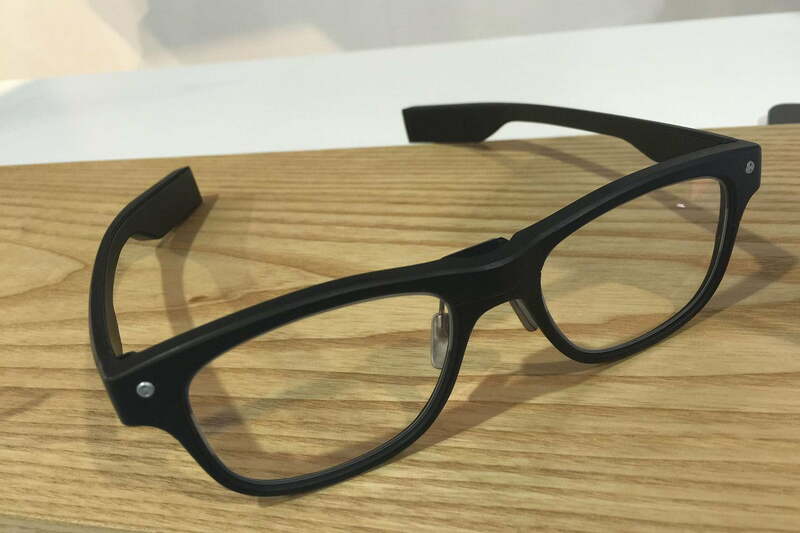 Not all smartglasses are created equal, and the Jins Meme is several steps above the rest with its subtle design and incredible powers. 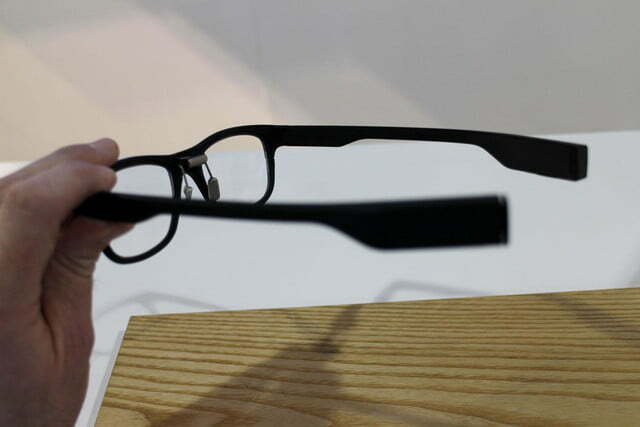 Smartglasses have a bad rap. 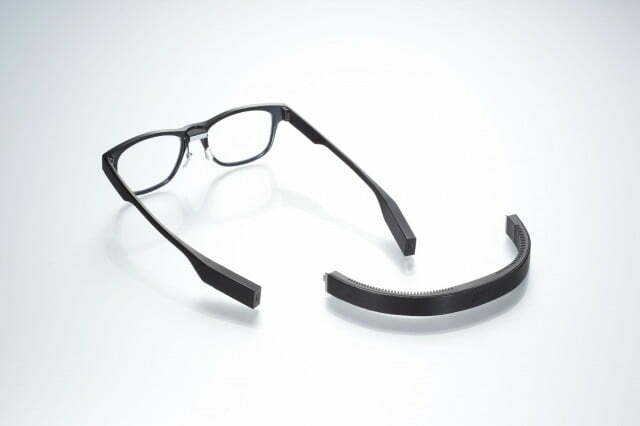 Google Glass Explorers are typically called Glassholes and are even banned from bars, upon occasion. 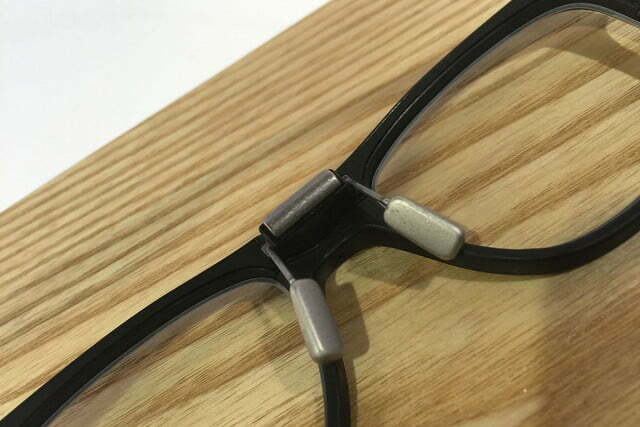 However, not all smart eyewear has to be so obvious. 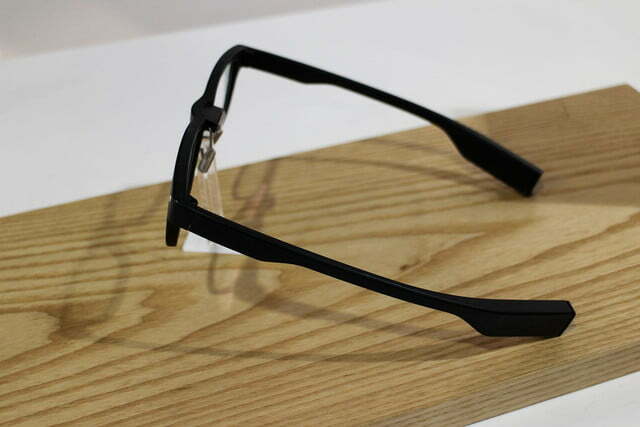 Jins’ Meme is the most subtle and intriguing smart eyewear we’ve seen to date. 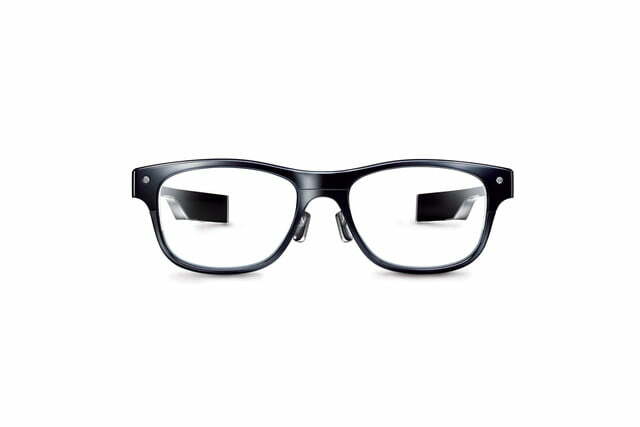 The Jins Meme looks like a pair of Ray Bans, but packs the full power of eye tracking software, fitness technology, and gaming. 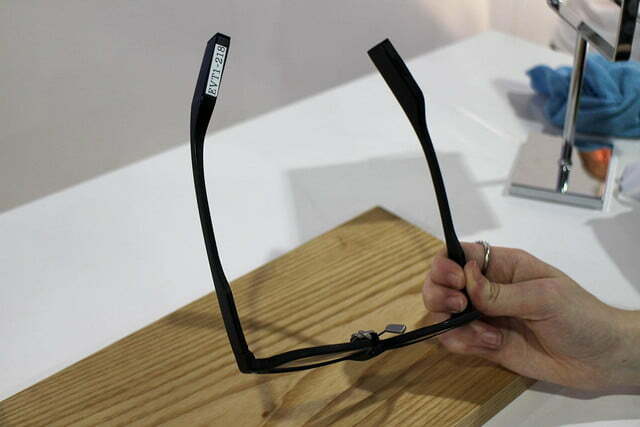 The glasses are on their way to the company’s home country of Japan and the U.S. in 2015, so these amazing glasses are almost here. 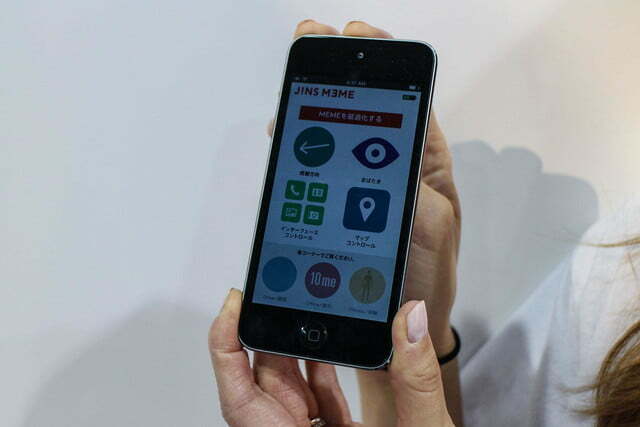 We took a close look at them at CES 2015, and went through a few demos to see how the Jins Meme works. 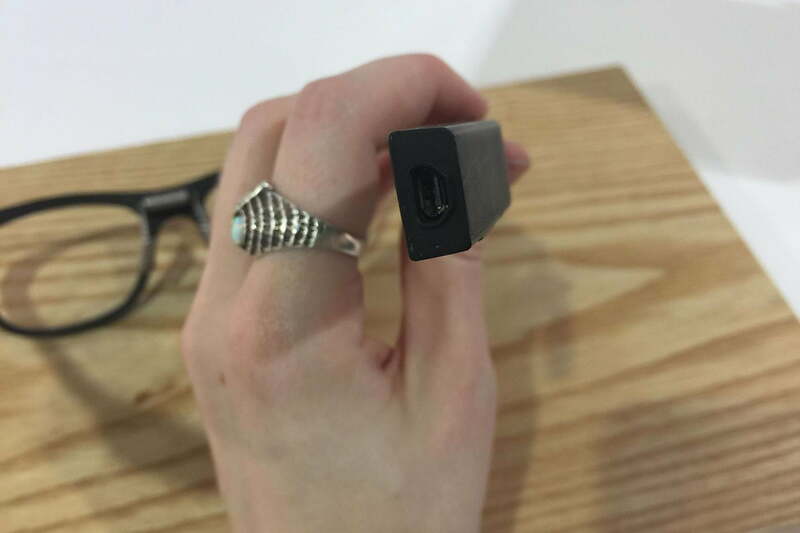 Updated on 01-22-2015 by Andy Boxall: Added in news of Jins first U.S. retail store, and its plans for an online store, through which the Meme may become available. When we first approached the Jins Meme booth at CES, we saw a collection of the company’s traditional eyewear, which is sold to those who wear prescription glasses. 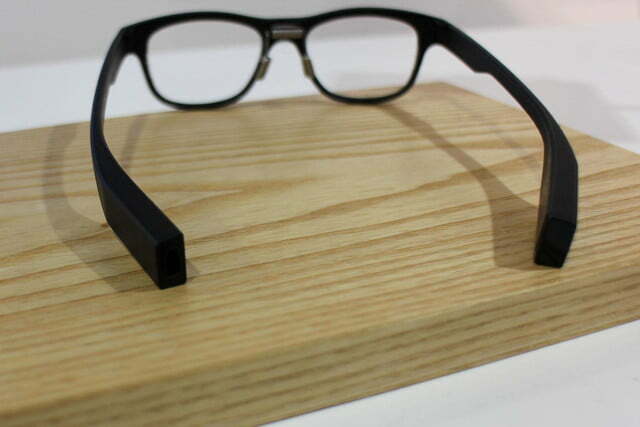 Hidden amongst the normal glasses, was the Jins Meme. At first glance, the Meme look like a pair of Ray Bans. 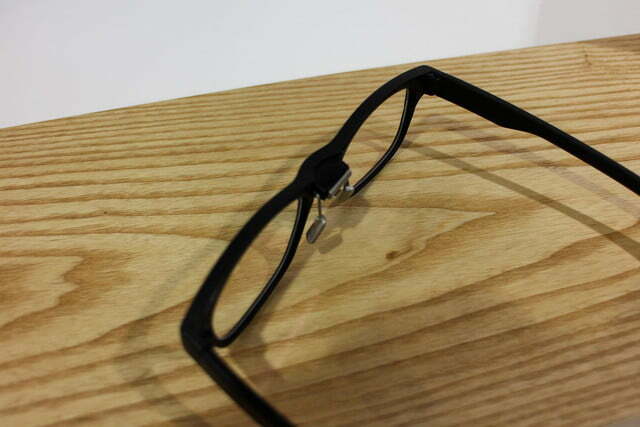 The lens are big and the frames are a bold, matte black. Industrial designer Satoshi Wada of SWdesign, who is the man behind the Audi A6 and Issey Miyake W watch, came up with the design. 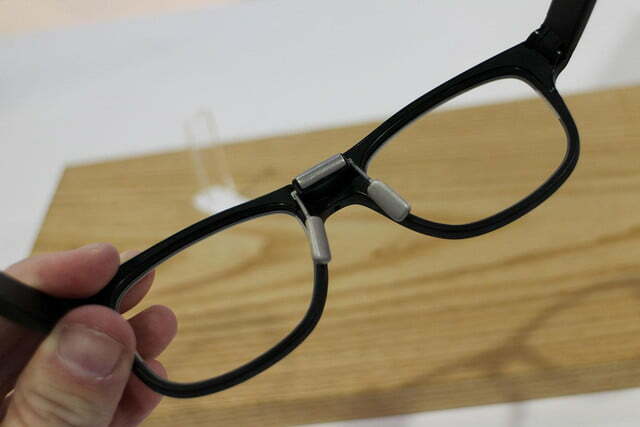 The word “unisex” is thrown around a lot when it comes to wearables, but with the Jins Meme, it’s actually true. 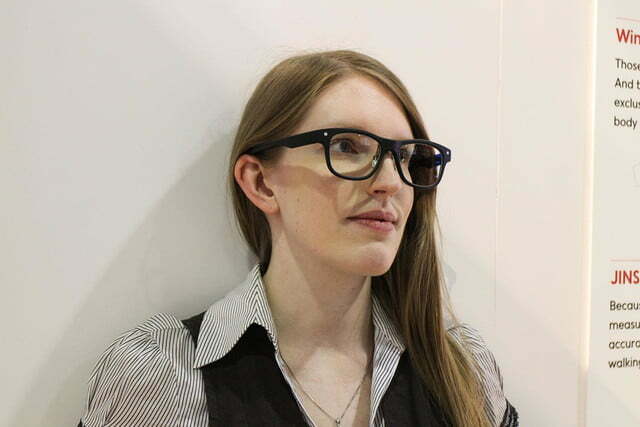 Sure, the frames are definitely aimed toward the new, modern, hipster style, and they won’t suite everyone, but they look good on both women and men. All the sensors and tech are hidden in the back of the ear pieces and the nose pads, so it’s almost invisible. 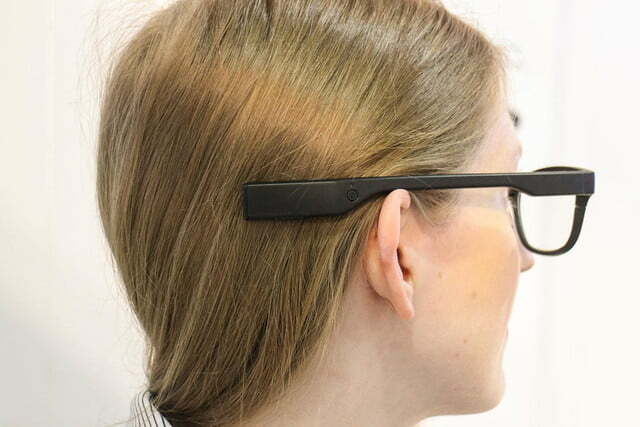 You don’t have to wear a huge, honking display on your face anymore. The Jins Meme may be subtle, but it sure is powerful. 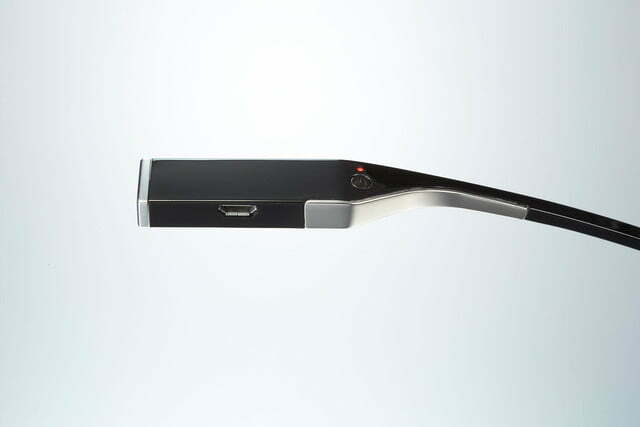 Jins packed six-axis sensors, including accelerometers and gyroscopes into the ear pieces. 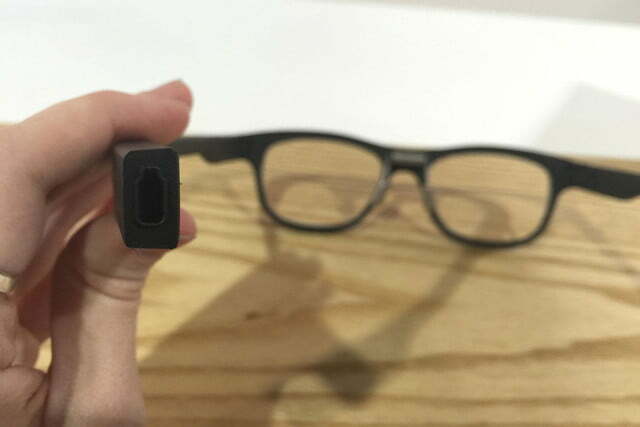 These sensors give the Jins Meme all the abilities of a Fitbit, but with greater accuracy, Jins says. Since the sensors are positioned at the center of the body and the top of the spine, the Meme can better track your movements and even your posture. 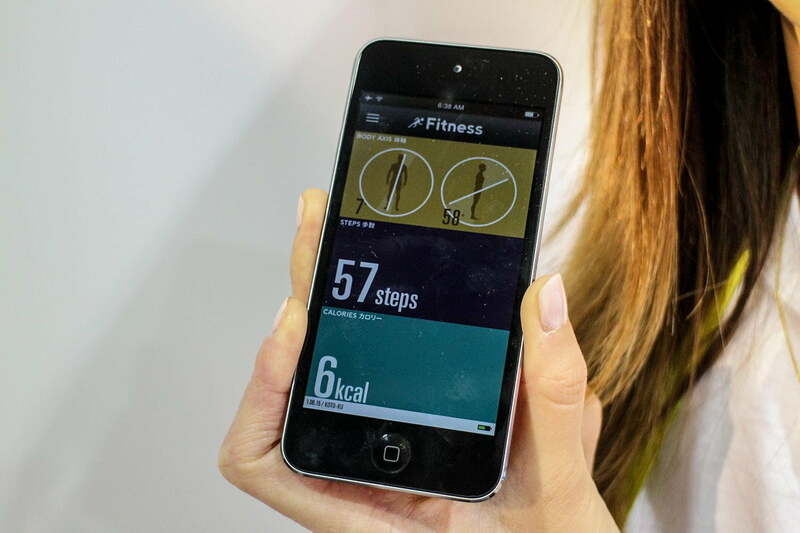 Wrist-based wearables often overestimate your activity, counting arm motions as steps. The Meme doesn’t suffer from that problem because it’s in the most stable, central part of your body. Those sensors also keep tabs on the calories you burn, and can tell if you have bad posture or balance. Future apps could potentially use that data to correct runners’ strides, predict health problems, and improve users’ posture. On top of it all, the battery should last as many as 16 hours before you need to charge it again via Micro USB. 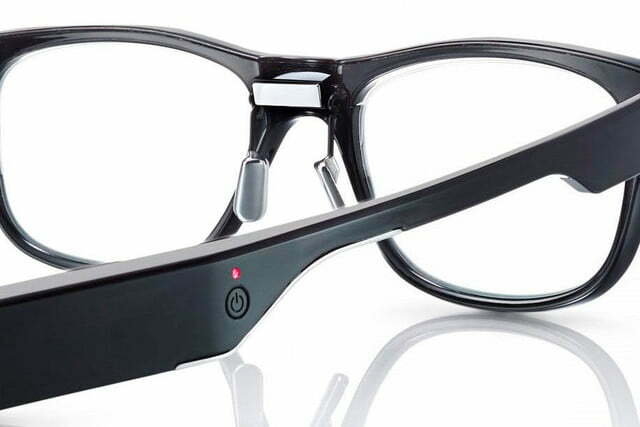 In addition to keeping tabs on your fitness, the Jins Meme also tracks the movement of your eyes, thanks to electrooculography (EOG) electrodes in the bridge of the glasses and the nose pads. 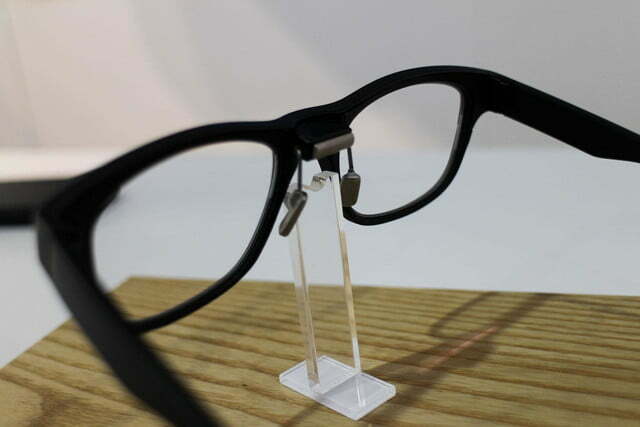 These electrodes can detect blinks and every movement you make with your eyes in as many as eight directions. 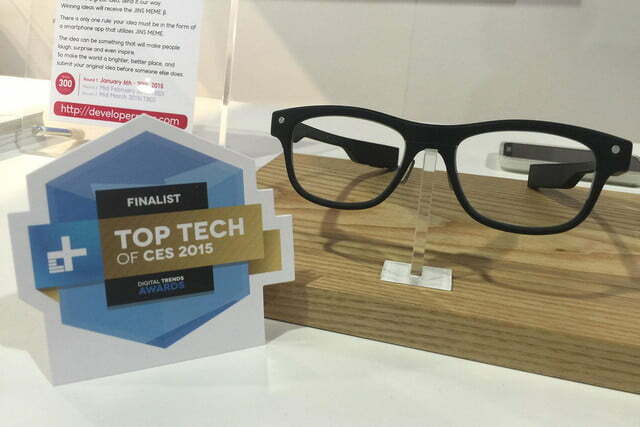 We tested out the eye tracking software in a few demos at CES 2015, and were very impressed by how quick and responsive the Jins Meme was. One demo showed a colorful, glowing light that followed our eyes as they moved up, down, and across the screen. The light also burst into firework-like graphics whenever we blinked. 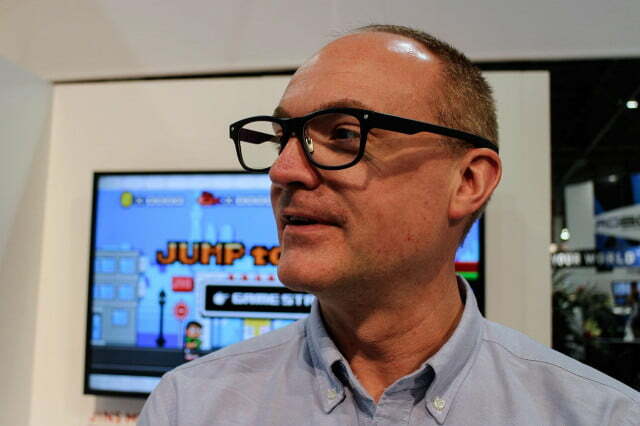 In another demo, we played a simple game by simply jumping up and down. The Jins Meme could tell when we jumped, and the character in the game followed suit, collecting coins along the way. 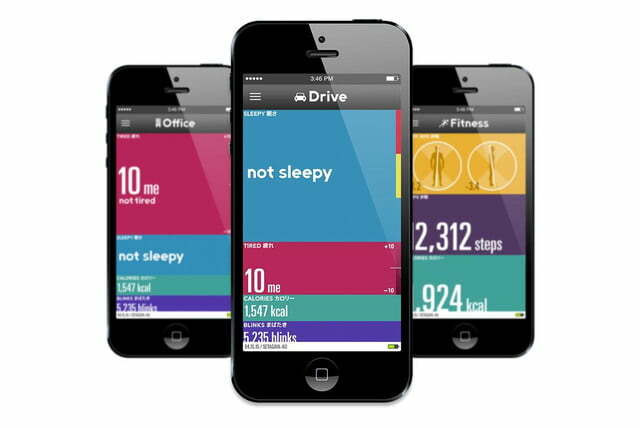 The software can also be used to navigate through your phone, determine when you’re tired, and when you’re losing focus. Jins is working with car safety companies to develop a system that alerts you when you start to nod off at the wheel. 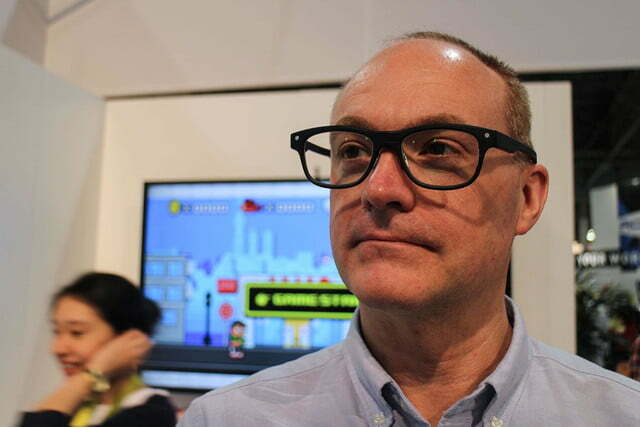 The company is also holding a developer contest to find cool, new apps for the software. Jins told Digital Trends the Meme developer kit will be available in spring 2015, but the consumer-ready version will hit the stores in fall of 2015. 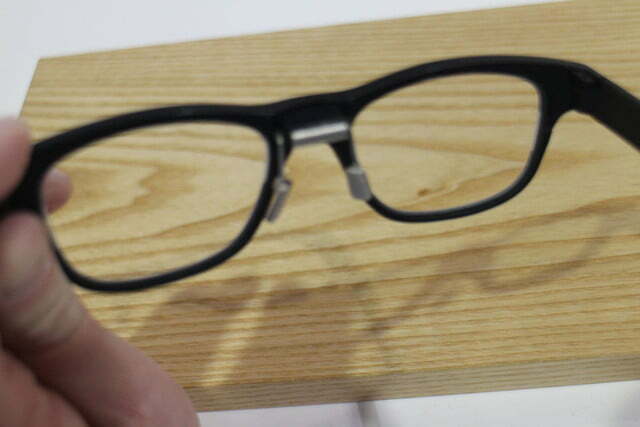 Although Jins hasn’t set a price yet, the company says its glasses will be competitively priced. 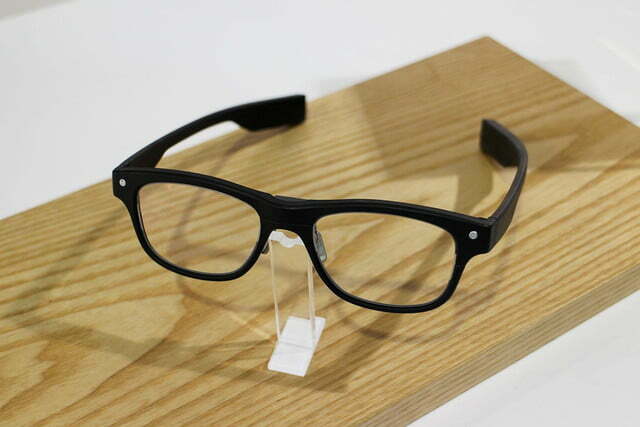 For reference, Jins’ standard frames and lens cost between $60 and $120, so hopefully the Meme won’t cost too much more. Stay tuned for our full review. At the end of January, Jins announced it will open its first, flagship retail store in the U.S. during the spring. 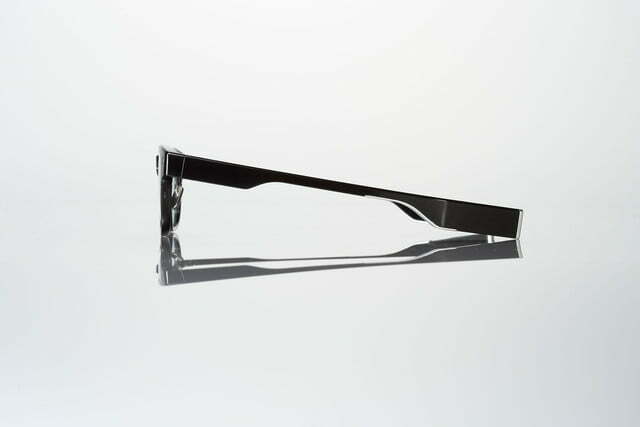 It’ll be found at 151 Powell Street in Union Square, San Francisco, and offer all Jins’ existing range of eyewear products. At the same time, an online store will also open, ready for use nationwide. 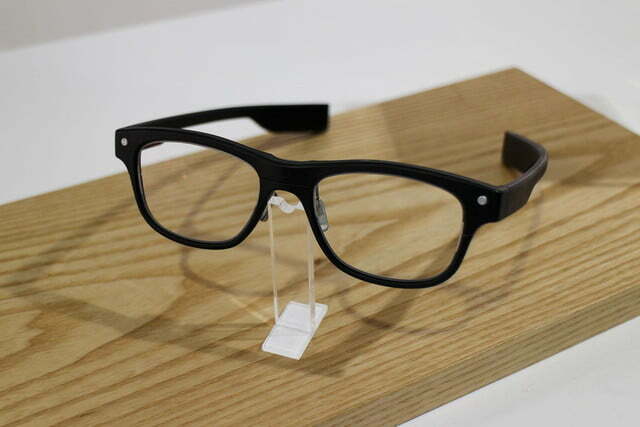 The press release reiterates the Jins Meme will arrive in the fall.